28 migrants drowned Sunday following a migrant smuggling operation. At least 28 Haitians drowned Saturday morning after they were trying to leave Haiti in a migrant smuggling operation, officials said. 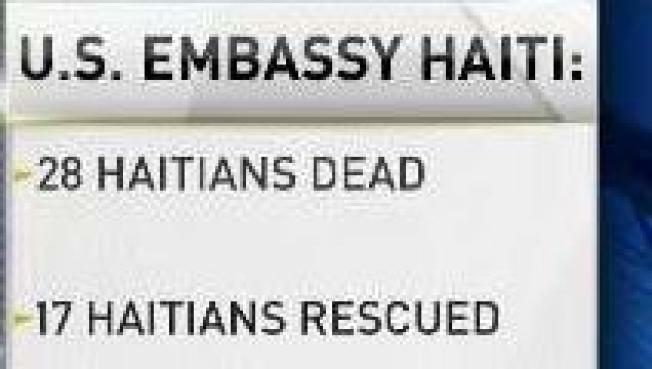 According to the U.S. Embassy in Haiti, 28 Haitians drowned, and 17 survived. They were found in the northern Bahamas. It all happened after the Haitians were on a vessel and were being trafficked out of Haiti. “Please urge families and communities: Illegal migrant and smuggling operations are dangerous and frequently end in tragedy,” said the U.S. Embassy on their Twitter account. Two others people were rescued Sunday morning near Fish Hawk Cay near The Bahamas. The survivors were taken to a clinic for evaluation and were eventually handed over to immigration and police officials. According to Bahamian officials, 300 Haitians have been apprehended for illegal entry during four separate incidents.